Euphorbia rapulum Kar. et Kir. 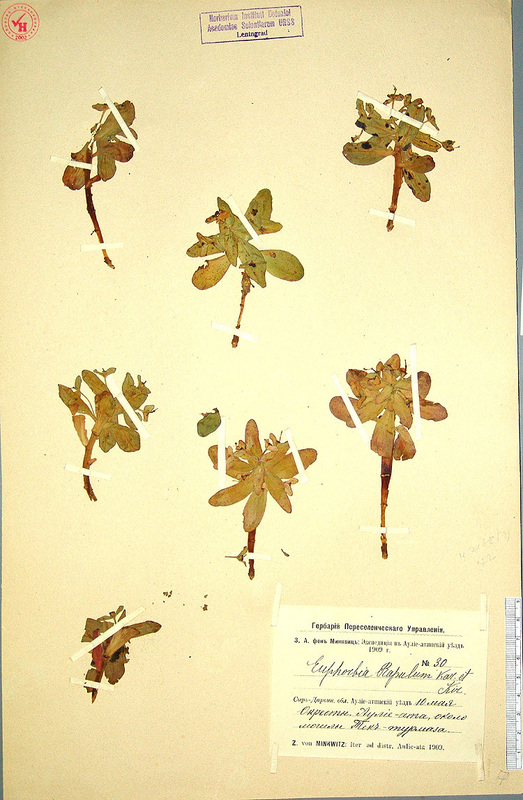 Herbarium of the State Migration Department, Z.A. fon Minkvitz: expedition to Aulie-atinskii District, year 1909, Syr-darinskaya Province, Aulie-atinskii District, near Aulie-ata Town, Tek-turmaza graves, 10.V.1909, N 30. The label is printed, place and date of collection are written by hand.